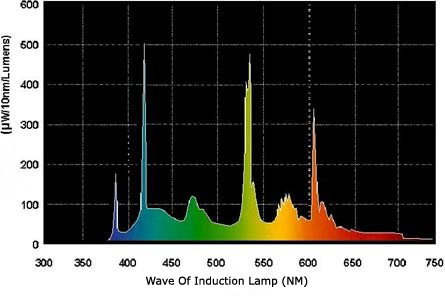 People find the the “lighting efficiency” of induction lamp is just “OK” but even much lower than the traditional light source like HPS or HID. Yes, that is right, however, the high lighting efficiency doesn’t mean great brightness to eyes. That’s because of the factor much invisible lights among their luminous flux. That means, though induction lighting is “not good at” lighting efficiency, it is not certain the illumination will be lower than the other light source. 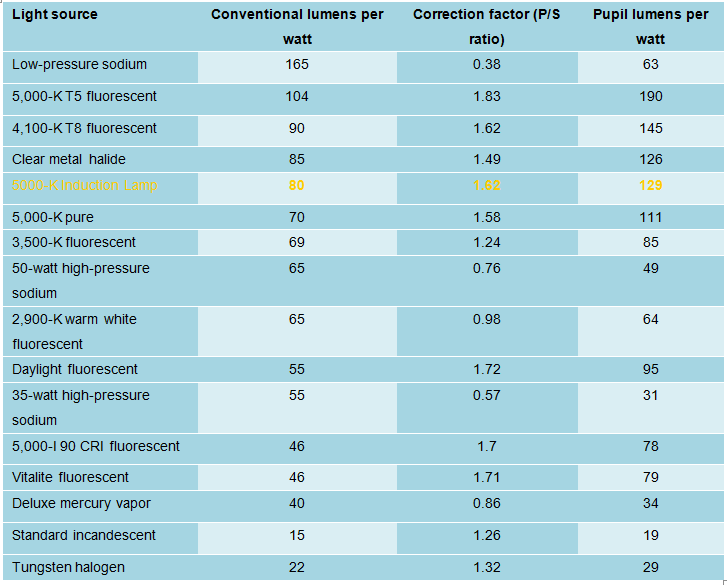 Please find the below tables which tells, induction lamps are quite nice for the visible spectrum. That’s the one base of difference between induction lamp and other light source. 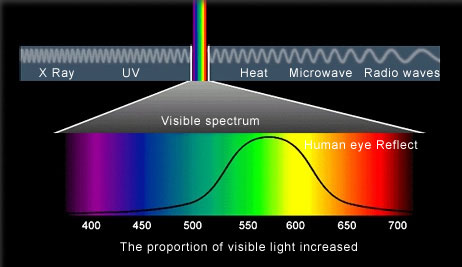 But the spectrum is not the only factor making people fuzzy on the exact brightness. Human’s Vision is affected by many factors: light intensity, lighting distributions, different colors, objects contrast, as well fixture reflections even the motion of subjects and viewers etc. There’re two parts to “see” in our eyes when in bright light and dim light conditions. The eyes contains cones and rods which were thought to work in opposite conditions that the cones providing color vision and fine detail in bright light while rods controlling in dim light. In bright light condition, our pupils allows more details to be perceived. In low light condition, our eyes dilate to allow more light inside the eyes. 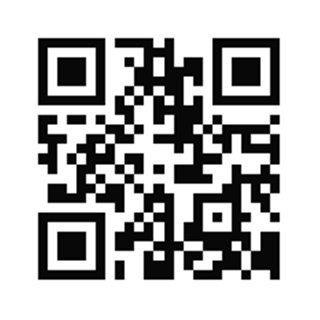 Normally, we call the bright light condition as photopic while the dark condition as scotopic. Light meters and other measurement equipments have been applicable widely based on the photopic response. However, studies are indicating that the scotopic vision is more involved in interior lighting than expected that effecting pupil size. Recently, more and more scholars advise designers to take the photopic / scotopic (P/S) ratio of lamps as a very important factor to evaluate the exact brightness of a lamp. Lawrence Berkeley Laboratory with other respected lighting scholars brought a conversion factor, applying the P/S ratio to lumen output with data of different light sources. By this theory and the current analysis survey, the highlights are the fluorescent lamps. As a technology innovation of the fluorescent lamps, the induction lamp also gets good Pupil Lumens per watt based on the good lighting efficiency over 80lumen per watt. Please take the table from Lawrence Berkeley Laboratory for your reference. Pupil lumen has not been accepted by public but whatever ending users or citizens found it actually exists. It is also valuable to continue studying on eye’s world not only for pupil lumen. For example, recent studies take preference to daylight even white color to the road lighting system for better distinguish especially in moving condition. Induction lamp with 5000k is the very nice choice for day-light required roads, not only for good exact pupil lumen, but also for many other reasons like safety and daylight feeling.